Here is your ultimate answer for longer, thicker, more beautiful-looking	eyelashes. Each Xtreme Lashes Eyelash Extension is individually applied	to a single eyelash, resulting in a gorgeous, natural appearance. Xtreme	Lashes Eyelash Extensions can only be applied by a trained and certified	Xtreme Lashes® Lash Stylist. Not your traditional false eyelashes, eyelash flares or implants – our	lashes are safe and comfortable to wear, and are never applied directly	to your skin or eyelid. With routine touch-ups every two to three weeks,	you can have amazing eyelashes indefinitely. Are available in over 1,000 different lengths, thicknesses, colors and	curvatures. 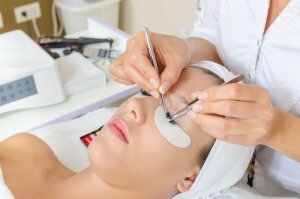 Are individually applied to a single eyelash, resulting in a gorgeous,	natural appearance. Your lash stylist will conduct a thorough consultation to assess your needs,	allowing you the opportunity to help design your customized lash look	to compliment your individual beauty. For more information, please take a few moments to	review our FAQs.